Recently I was lucky enough to attend part of The Chiswick Book Festival. It was an interesting affair with several sessions covering everything from children’s books to marketing. I attended four sessions on the Saturday, including two on the book industry/marketing and two featuring authors speaking about their work. My favourite session was called “Extremes—testing the resilience of plots and people in the wilderness”. It featured London authors Sarah Leipciger and Rosamund Lupton in discussion with Cathy Rentzenbrink. They spoke about the importance of setting for their novels, both of which take place in harsh, isolated wilderness. 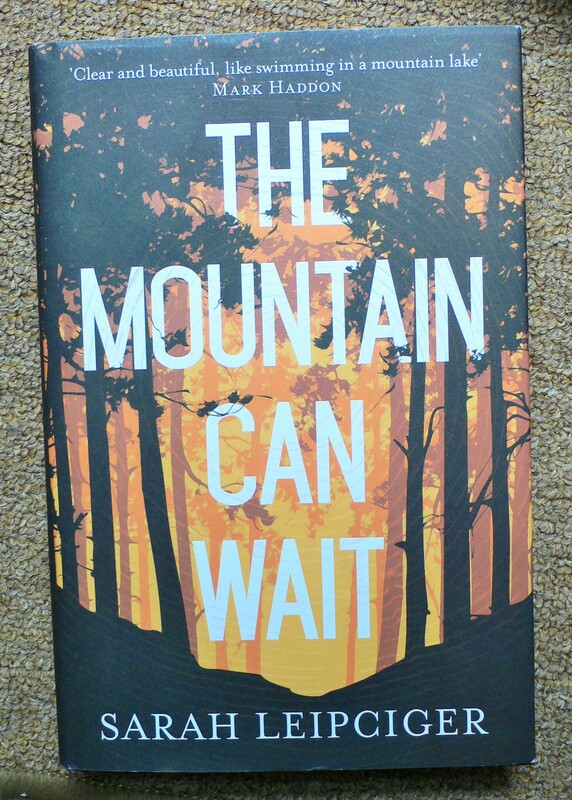 Sarah Leipciger’s novel is called The Mountain Can Wait. A beautifully written, poetic debut novel about a reluctant father raising two children on his own in the wilderness of the Canadian Rocky Mountains. When a young woman’s body is discovered on the road, the victim of a hit and run, the authorities begin searching for the young man whom they suspect hit her. But who would have done such a thing, and why? And will the driver himself remain unscathed by his actions? When Tom Berry’s wife, Elka, left him with their five-year-old son, Curtis, and their three-month-old infant daughter, Erin, he struggled to cope. Erin refused to eat and had to be taken to the hospital where she received a feeding tube. Curtis never understood their father’s quiet ways and preference for being alone, not to mention his fondness for hunting, an activity Curtis always disliked. Tom’s work with the forestry service means he lives away from home for part of every year. During this time Erin and Curtis often stay with their grandmother, Samantha. But now that Curtis is older, he has his own place which he shares with a friend. Next year, Samantha will go away to university. With Tom’s planting company becoming successful, he might finally be able to purchase the cabin he’s dreamed of owning for years now. A cabin at higher altitude, where he can hunt, fish and live out his days in the peace and solitude he’s always craved. Leipciger’s novel deals with the aftermath of events. The setting is described so vividly as to be almost a character in its own right, but she doesn’t let her descriptive powers get away from her. Her writing style remains grounded in the harsh and unyielding wilderness it represents, while remaining fresh, rich, and above all else, compelling. Sarah noted during the session that her main character, Tom Berry, was born out of the mud of the landscape that he lives in and where the story takes place. Her characters all struck me as an organic part of the landscape they inhabit and this was one of the aspects I particularly enjoyed about her novel. Indeed, Sarah herself is Canadian and grew up in a similar environment. 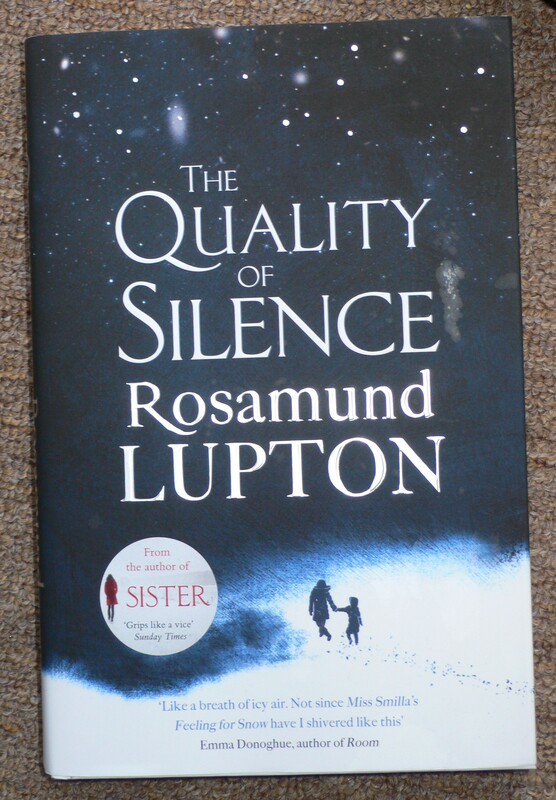 Rosamund Lupton’s latest novel is called The Quality of Silence. It is written, in part, from the point of view of a young deaf girl, Ruby, who has landed in Alaska with her mother, Yasmin. Having never visited Alaska before, she and her mother must traverse the wilderness in search of her father who has mysteriously disappeared and whom the authorities refuse to divulge any information about. I was struck by the amount of research Lupton carried out in preparation for writing the novel, and also by the fact that her protagonist was a young, deaf girl. Rosamund Lupton said that one of the reasons she made Ruby deaf was because she herself is deaf in one ear and this was something she wanted to explore in her writing. It also meant that Ruby would experience things differently which would make for an interesting character. Rosamund said that as the landscape was new to her characters she was able to explore it along with them, as it was new to her as well. I was impressed by her courage in writing about a place she was unfamiliar with as I think this is something many authors want to do and are warned against. My novel, The Forest King’s Daughter, was based, primarily, on research. As a writer, I find a sense of freedom in discovering new places, people and plots through my writing. After hearing so much about The Quality of Silence, I just had to get my own copy. Have you been to any book festivals recently? If so, what was your favourite session, and why? Do you like novels with a strong sense of place? And what do you think about the adage to “write what you know”? Hi Marianne, I’ve not read Sister, or any of Lupton’s other novels. I was intrigued by the sound of this one so thought I’d give her a try. I absolutely loved The Mountain Can Wait, and think you’d probably enjoy it too. I’ve not read Tenderness of Wolves but just looked it up and it is going on my reading list! Great advice to write what you know, or research accordingly! :-)Thanks for your comments! I’m not sure about write ‘what you know’ as a fantasy writer in a new world or town never really feels like I’m writing what I know, more hoping one of my characters knows along the way. I think trying new things that can make oneself feel out of one comfort zone can be very freeing. But writing what you know is very helpful at times too. Hi Katie, I’m glad you enjoyed it, and sorry to keep adding to your reading list! 😉 I know exactly how you feel, there are so many good books out there and so little time to read them all.